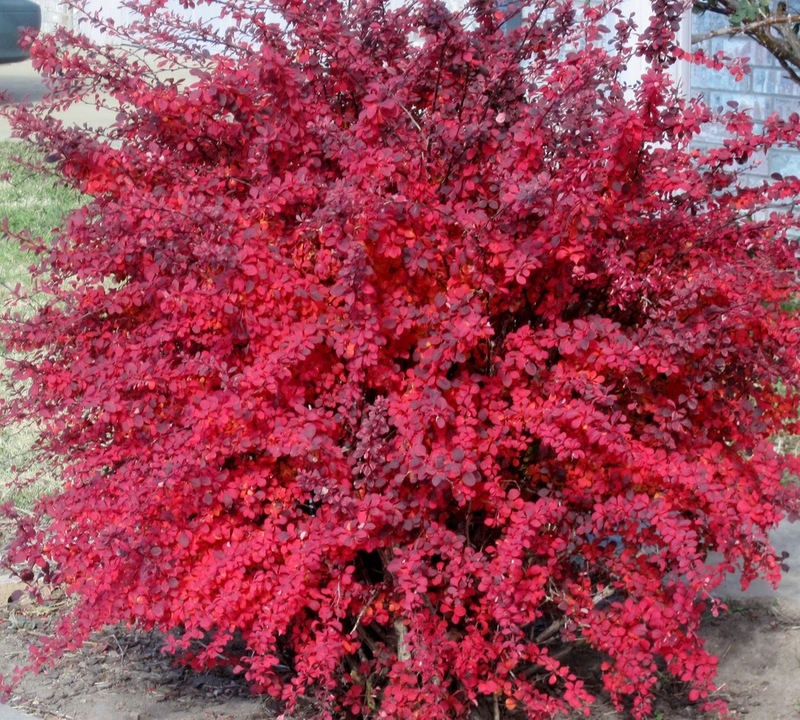 Barberry – bright and unpretentious, growing, species and varieties, care with photo and video. 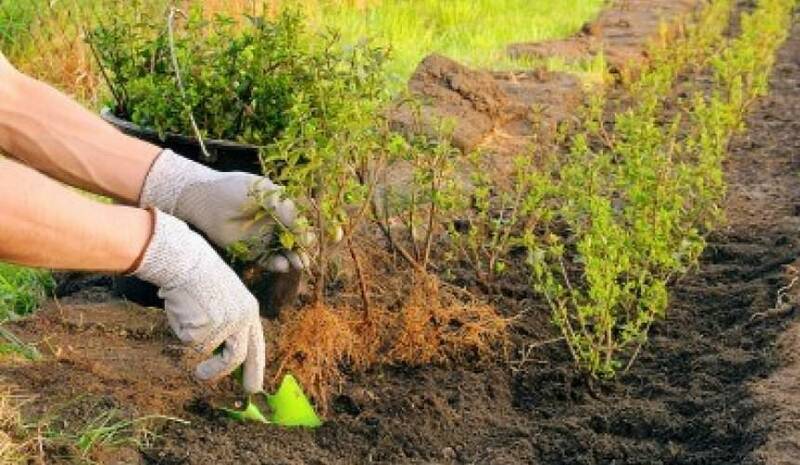 How to plant a shrub? The garden design. Dwarf barberry. The most suitable areas for the cultivation of shrubs with bright berries is the Crimea and the Caucasus, southern regions with mild climate. Hedges and individual shrubs tolerate winter cold, the plant is undemanding and is able to thrive on poor soils. Culture is commonly used in landscape design, berries in cooking, cosmetology, medicine. Properly selected varieties of plants can create bright compositions in the garden or on the plot. 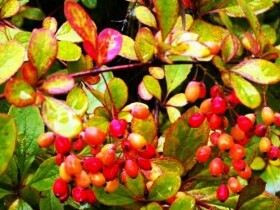 Barberry – tree shrub, reaching a height of 2 – 3 meter, widely distributed in the wild. The plant was garden due to the utility of leaves and fruit, as well as a beautiful appearance. Name, according to one hypothesis, can be derived from the Arabic word "babery", which means "shell". Petals barberry is really reminiscent of the "houses" of sea creatures. Flowers – Golden yellow, in racemes or inflorescence, exude a pleasant aroma. Shrub begins to bloom in may or June. Shoots extend from the main trunk arched, the crown is spreading. 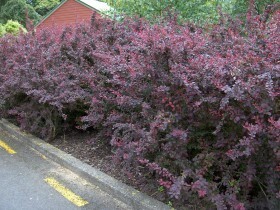 In the autumn the leaves take on a purple hue, thanks to this feature barberry very beautiful at any time of the year. Fruit can be a different color, oblong sour berries in the immature state poisonous, contain alkaloids. The substance berberine, having lemon yellow, gives a proper coloring of the internal parts of stems and roots. Color, acid berries and astringency caused, which plant is called the "Northern lemon". Powerful thorns, which are modified leaves, allow you to use the shrub as a "living fence". Crown of barberry can be formed by trimming. 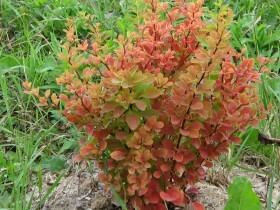 Best barberry grows and develops in well-lit areas, in the shadows may be a problem fruiting. Culture without any problems transfers the dry season and frosts, the cause of death can serve as waterlogged soil: start to rot the roots. Low-growing barberry bushes look good when decorating Alpine. The genus includes more than a hundred varieties, which can be divided into several major. "Atropurpurea" with bright yellow flowers and edible berries purple. 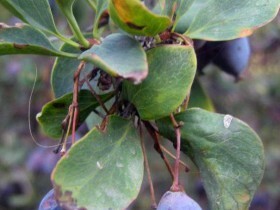 Not only berries, but the leaves have a reddish-purple color, provided, the plant is planted on a well-lit area. The variety is winter hardy, during the multiplication of seeds, not all descendants inherit the scenic shade leaves. "Aboveright" undersized, the shrub grows more than a meter. Foliage colour – dark green, with divorce. "Aureomarginata" – a special type, variegation of the leaves makes the plant very picturesque. In the shade of the color intensity can be lost, light-requiring culture. Homeland plants – North China and the far East, shrub also grows in Primorye and Japan. In the wild occurs at the edges of forests and along rivers. Looks like Berberis vulgaris, but above, reaches 3,5 m. Fruit, like any other varieties, sour, edible, color – red. 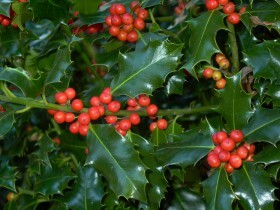 The foliage is green and shiny, in the autumn turn yellow or acquires a reddish tint. 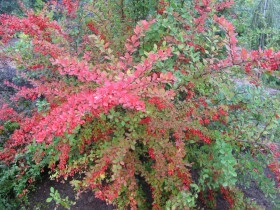 "Japonica" – a kind of Amur barberry, the leaves are rounded at the top. Flowers in tassels less, than other varieties, they are usually 20 – 25. "Orpheus" – variety, who was the Russian breeders. The main feature – the bushes are not blooming, plant height is about one meter. As the name implies, the birthplace of the Korean Peninsula. The plant is undemanding, in the wild it can be seen on the slopes, tolerates dry periods, but may die during the long thaw. The shrub is damaged and in extreme cold, but after pruning of apical shoots grow quickly. 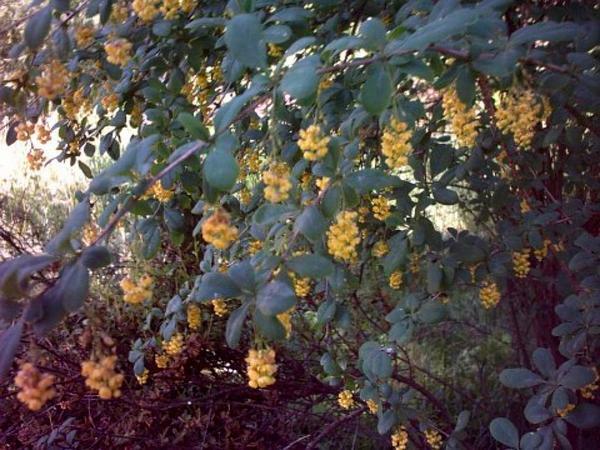 The flowers are yellow and fragrant, berries – red, rounded. The species is affected by rust. Homeland species – Central and Middle Asia, the shrub prefers dry slopes. Bush height of about 2 meters, colouring – red, the flowers are Golden-yellow. The leaves are green with a bluish tint, small size, oblong. The plant is not frost-resistant, but it tolerates heat and drought. The roots can rot, if not provided with good drainage. The species first appeared in the mountain areas of Asia. Bushes – high, can achieve 2,5 m. Leaves – oblong with a gray tint, the flowers are yellow, the fruits are dark red with a bluish bloom. The shrub can grow on different soils, in addition to sour, unpretentious. Young plants are covered with frost, Mature don't need it. The plant can be cut, the shoots grow at an average speed. Chiropody view is also called ragnarokum. Place of distribution – mountain slopes of Central Asia. Fruits contain large amounts of vitamin C, they are widely used in cooking for making soup, pilaf, kebab, the color of the berries – bluish-gray. The appearance of shrub – spectacular, the flowers exude a strong fragrance. In winter, the culture can freeze and is in need of shelter. The shrub is popular with residents of Tajikistan, Uzbekistan, Kyrgyzstan. The number of species and varieties of barberry is huge, the correct selection will allow you to decorate the land from spring till the first frosts. Shrub is perfect for registration "hedges" and rockeries, lawn edgings, Japanese gardens and Alpine gardens. The color palette of the plants ranging from red and yellow to purple, blue, green. Barberry is often used as main background. Dwarf varieties are interesting in the layout of lawns and flowerbeds. Thorns protect from trampling the flowers and lawns. Looks original decision to issue a barberry planting the foot high trees. Culture, planted as a "hedge" – reliable protection of the site from intruders, moreover, it is interesting to overcame and organic look. The fence can be left without pruning or try to give a rounded or angular shape. The best time for planting is autumn and spring. The plant is well propagated by cuttings, division, layering, seeds. The latter method is time-consuming, the best option for the novice gardener – the purchase of a good seedling in a specialty store. For propagation by cuttings it is necessary to cut off accurately, planted in the ground on the lawn or indoors, to water and wait for roots. Ready seedling transferred into the open soil together with the soil, where he grew up. To propagate the barberry cuttings, escape need to be taken down to the ground and pinned, cover with earth. Soil to water. Bush also can be divided into several, seat, he will settle in quickly. The main requirement of the shrub to the ground – that she's not with excessive, and selected for planting in the area was well lit. For single plants, dig the planting hole 0,5 on 0,5 m, for fences it might be a trench to the appropriate length. Her or the pit should be well moistened, drainage from rubble, leaves, sawdust. Into the soil to make the peat or humus, superphosphate, mix, to fill in the hole. The distance between the bushes – 30-40 cm. When you fit the neck root of seedlings should be under the ground at shallow depths of three to four centimeters. Landing again to pour, sprinkle the soil with leaves or sawdust. Fertilizing plants starts in the second year after planting. Use urea based: 20 – 30 g in a bucket of water, complex fertilizers in the doses, which is listed on the package. Then the plants are fertilized every four to five years. The plants watered during dry periods, two or three times a week. Mandatory pruning dead and old branches, shearing is carried out twice per season. Shrub may be affected by aphids and flower moth. The problem is solved by the treatment of the plants with a solution of phytoverm. From mildew helps fundazol is based: 20 g in a bucket. Rust can be cured one percent solution of Bordeaux fluid. All content on this site SamDizajner.ru written specifically for Simdesigner, copying 1 in 1 strictly prohibited. 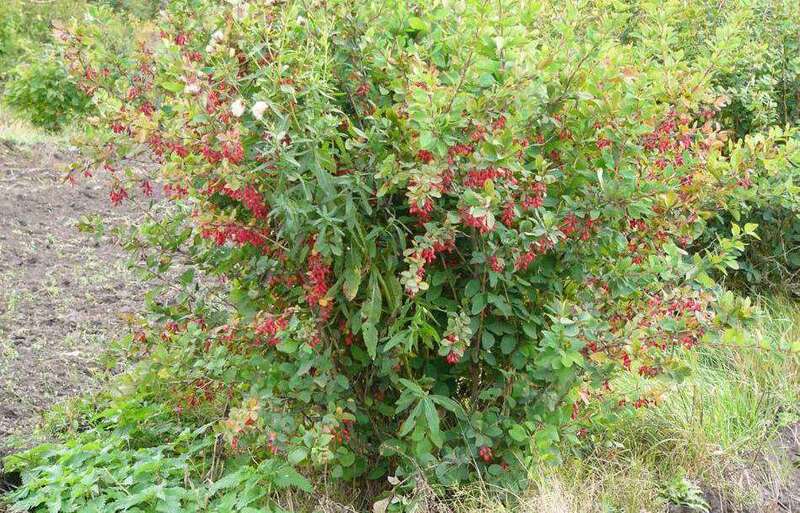 Reprint, full or partial rewriting of the article “Barberry is a versatile and undemanding shrub”, possible, only when you specify the full, active link to the source.